Your hosts at G & Z Upcountry Bed and Breakfast are happy to answer any questions you may have. 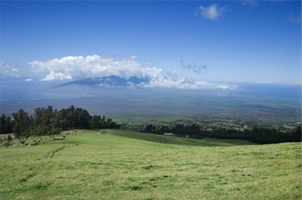 B & B and Upcountry Maui. 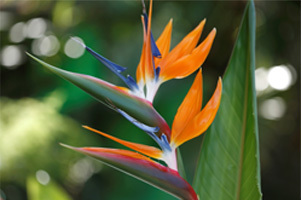 Please contact us at: marsha@gandzmaui.com or 808-224-6824. Rates: Room rate is $149* per night (based on single and/or double occupancy). G & Z’s county permit limits the total number of guests to two (2) adult guests and up to two (2) minor guests (children 18 years or younger). Children 18 years of age or younger will be charged an additional $25 per night per child. *Rates subject to change and do not include state and county taxes. Reservations Reservations can be made via email or telephone. Check-in and Check-out Check-in time is 3:00 p.m. and check-out is 11:00 a.m. Cancellations Cancellations made 30 days prior to check-in will be cancelled immediately. Cancellations made less than 30 days prior to check-in may be charged a cancellation fee depending on the host’s ability to rebook the room. Noise & Quiet Time Quiet hours are from 9:00 p.m. to 8:00 a.m., during which time the noise from G & Z Upcountry Bed & Breakfast home shall not unreasonably disturb the neighbors. This noise policy was developed by the County of Maui and is a requirement of your host’s permit to operate a bed and breakfast. Parking Free parking is available on site. Please reverse into the designated parking area. No parking is allowed on the street. Breakfast Maui County does not allow bed and breakfast permit holders to prepare fruit or serve hot food to guests. Whole seasonal fruit and scones or breakfast breads, coffee and tea will be delivered to your room. The kitchen has a full size refrigerator, stove, toaster/oven, and coffee pot which enable guests to enjoy breakfast at their leisure. Cooking & Barbeque G & Z Upcountry Bed & Breakfast kitchen is fully stocked with dishes, cutlery and pots & pans. Guests choosing to prepare their meals in-room may do so. A barbeque and outdoor dining area is available on the shared lanai.